Research analyses both in the DDD study and beyond are continuing to discover new genes for developmental disorders. We plan to run a new reporting round in the first half of 2019 using an expanded gene panel incorporating some of these recent discoveries. Potential new diagnoses will be reported back to families via the patient's clinical geneticist. We are collaborating with researchers internationally to improve our ability to detect and interpret ultra-rare causes of developmental disorders and to increase the chance of diagnosis for patients recruited to the study. Our ongoing analyses of undiagnosed DDD patients has highlighted some potential new research approaches that might enable us to understand the role of genetic changes in these patients. In order to fully explore these potential explanations we need to combine DDD data with datasets generated by other large genetic research studies around the world. To achieve this, we will be sharing anonymised genetic data on DDD participants with a small number of trusted research organisations with complementary datasets who meet our stringent requirements to keep the DDD data securely and maintain patient confidentiality. The DDD study is funded until 2021 and we will continue re-analysing data to try to find diagnoses for those who remain undiagnosed at this stage. We have now communicated most (~90%) of the candidate diagnostic variants from DDD to the referring NHS Clinical Genetics Services. Your Consultant Geneticist will get in touch with you if they think that DDD may have found a possible diagnosis for your child. At present, we are finding diagnoses for ~35-40% of DDD patients, so many families will remain without answers at this stage. We aim to report the majority of the remaining candidate variants from this round of analysis over the next few months. After that time, the chances of receiving a positive result will be reduced. 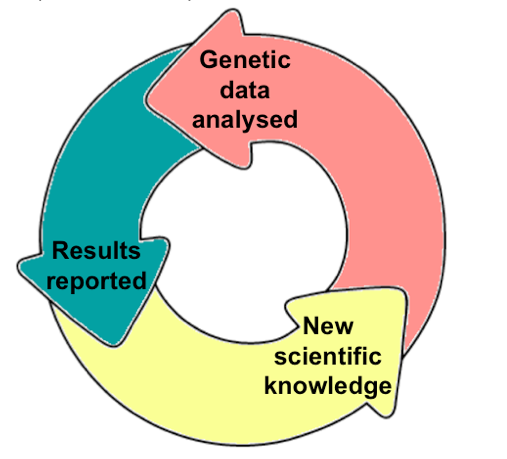 Periodic reanalysis of the DDD data based on growing knowledge of the genes causing developmental disorders together with research to discover new causes of developmental disorders will continue until 2021. Research on DDD data has generated over 100 peer-reviewed publications, which have led to new diagnoses for families all around the world. See the DDD publications page. Throughout DDD we have worked with the family support group Unique to provide patient information leaflets for new gene developmental disorders. These are proving to be very useful for both patients and clinicians! A growing list of these leaflets can be found on the Unique website (https://www.rarechromo.org/disorder-guides). For families without a diagnosis, there is also the excellent support group called Syndromes without a Name (SWAN UK) (www.undiagnosed.org.uk). Thank you for being part of this important study that has already found >30 new genes causing developmental disorders! We have finished our initial processing of all the data from the DDD project, and are now analysing data for all families using updated genelists to maximise the opportunity to find a diagnosis for every child recruited to the study. The team at Wellcome Sanger Institute is working very hard to return results to you via your local clinical genetics teams as soon as we possibly can. We are aiming to get reports out (whether there is a positive result or not) for as many DDD patients as possible in the early months of 2018. At present, we are finding diagnoses for ~35-40% which is a tremendous achievement given that children were recruited to the study when standard diagnostic investigations had been unsuccessful. However it does mean that many children will remain without a diagnosis at this stage. The DDD study is funded until 2021 and we will keep re-analysing data to try to find diagnoses for those who remain undiagnosed at this stage. Thank you for your participation in this ground-breaking study. We appreciate it has been a long wait for some of you to obtain a result from DDD. We are working extremely hard on the huge volume of data generated for the > 13,500 families in the study. The processes involved are very complicated but the team at the Wellcome Sanger Institute is working very hard to expedite results for families and get results back to you via your local clinical genetics teams as soon as we possibly can. We are aiming to get reports out (whether there is a positive result or not) for as many DDD patients as possible by the end of 2017 / early 2018. By the time recruitment to DDD finished we had recruited over 13,600 patients. This was an amazing surpassing of our 12,000 target, and thus we applied for a budget extension to enable us to sequence EVERY CHILD in DDD as well as ALL COMPLETE FAMILY TRIOS (Mum, Dad and child). The necessary additional funding has allowed us to complete exome sequencing of ~33,000 DDD individuals. We have worked hard to analyse this enormous amount of data and resumed reporting back plausible diagnoses to clinical teams last autumn. The number of known developmental disorder genes upon which we focus our initial attentions has now increased to 1,400. If you want to know more about a specific gene try looking at our genotype-to-phenotype online database! The DDD study team has discovered 30 more genes not previously associated with developmental disorders (see table) and we estimate that these account for ~5% of diagnoses in DDD. Work on DDD data by NHS doctors focussing on specific genes and conditions has also led to new gene discoveries. With additional information taken from the wider scientific community, as well as our continued analysis of ALL genes in all DDD families, we are constantly adding to the list of genes known to cause developmental disorders. This iterative process will enable us to make even more diagnoses in the future. See this link for the growing list of DDD publications. Despite this progress, we expect that around half the families in DDD will not get a diagnosis from this first phase of the study. However, due to recent reductions in the cost of DNA sequencing, as well as securing additional funding, we are implementing other experimental strategies and analyses to find as many diagnoses as possible until at least 2021! Thank-you for your continued patience and support while we continue to work with your data in the years ahead! We have continued to communicate diagnostic results to clinicians and have submitted a manuscript to Nature describing our analyses of 4300 DDD families (see online preview). In addition to making diagnoses across many genes already linked to developmental disorders, we also identified 14 new developmental disorder genes! The majority of our diagnoses so far are new ('de novo') mutations that arose spontaneously in the child and are not present in either parent. We are currently working on the latest set of data to come through our pipeline, which will include exome sequence information on ~8000 DDD families. We hope to start returning results again in the summer 2016. Thanks to you, we have recruited an amazing number of families to DDD (nearly 14,000) and we hope to complete exome sequencing and initial analysis of the remaining samples by the end of 2016. Although not all families will receive a likely diagnosis, we have secured funding to allow us to continue to study all the data from all patients to find as many diagnoses as possible until at least 2021! This will include some whole genome sequencing of undiagnosed families. Thus, further results may be issued for patients in the future as improvements continue to be made to our analysis and new developmental disorder genes are published. As well as the analysis being carried out at the Wellcome Sanger Institute, we now have almost 160 complementary analysis projects. Most of these projects are led by NHS genetics doctors specialising in different genes and disorders. The aim of all the research is to get the maximum value from the data we are generating, and to share it with the wider scientific community to aid further diagnoses and new discoveries in the future. Do follow this link for the growing list of DDD publications! Thank-you for your continued patience while we continue to work with your data! Although the DDD study is now closed, we have recruited nearly 14,000 patients with developmental disorders and their parents from around the UK and Ireland, and received over 45,000 samples since April 2011! We recently published a paper in the top journal Nature Genetics, in which we describe the discovery of several new recessive disorders based on an analysis of over 4,000 DDD families combined with data from over 60,000 individuals in the US-based Exome Aggregation Consortium. We are continuing to process results for the first ~4000 families in the study, and hope to have data on the next ~4000 in early 2016. We aim to send everyone in the study a report by October 2016 - either with positive findings or indicating when nothing has been found in the initial analysis - but we are committed to finding genetic diagnoses for as many patients as possible and have now secured funding to continue research on DDD data until at least 2021. Watch this space for updates! The DDD study is now CLOSED to recruitment! We have recruited over 12,600 families from around the UK and Ireland, and will continue to receive samples until June 2015 — please don't delay in sending your samples back! There is still a lot of work to do to generate and analyse data from all these families, which will be our key focus from now on. We have completed all the array-CGH in the project and are now analysing the data from around 8,000 children; we will be continuing to generate whole exome sequencing data on families throughout 2015, which will make us one of the largest exome sequencing projects in the world. Hundreds of likely diagnoses have been sent back to clinicians over the last few months, and this process will continue at least until September 2016. The DDD team were very pleased to have several major publications at the end of 2014. These include a paper in the Lancet describing the process we developed for finding and returning diagnoses in the first ~1000 families, and another paper in Nature describing 12 new developmental disorder genes we have identified so far. We plan to publish more research papers this year describing the full results of the ethics study as well as numerous novel analytical methods. We have learnt an enormous amount from working on the first ~1000 families, and have updated and improved all our processes as a result. We are now working hard to analyse both exome sequence and microarray data from the next ~3000 families in the study, and hope to start returning likely diagnostic results in the coming months. Recruitment into the study closes soon, at the start of April, but we will continue to accept samples from consented families for a few months after that. We will continue to generate and analyse data on all families in DDD until October 2016 and hopefully beyond. Thank you again for being part of this transformative study! There are now over 10,000 families in DDD from around the UK, and we have received over 30,000 samples at the Wellcome Sanger Institute. We have reported over 350 likely diagnoses in the first ~1000 families to the 24 regional clinical teams, and now have two major publications in press describing this work. The DDD team has learnt a lot from this initial pilot about how to analyse large amounts of genetic information to find diagnoses, and we are now ramping up to analyse data from the next ~3000 families. We appreciate that waiting for results can be very difficult, and we are deeply grateful for your patience and understanding. There is growing interest both nationally and internationally in DDD, which is now one of the largest studies of its kind in the world, so thank you for your continued support. Download our third annual family newsletter for a full project update. The DDD team is scanning all (roughly 19,000) genes in the DNA of DDD families. There are just over 1,000 genes that are already known to cause disorders in children, and we are focusing our attention on this set of genes when providing likely diagnoses back to the doctors caring for your children. Currently, we have found likely diagnoses in DDD children for over 130 of these genes. For most of these genes we have only identified a single child with this particular disorder in the first 1,000 DDD children. We are also scanning the remaining (roughly 18,000) genes in the genome to see whether we can identify any new disorders. We have identified 12 new disorders already and the doctors caring for the children with these newly identified disorders have also been informed. We have initially focused our attention on the first 1,000 families in DDD to learn how best to analyse these data, and having learnt some important lessons from these focused analyses, we are now rolling out these analyses to all DDD children over the coming 12-18 months. We realise that waiting for a diagnosis is very difficult and we are deeply grateful for the support and patience of all the DDD families. The DDD team is absolutely committed to ensuring that all 19,000 genes in the DNA of every child participating in the DDD project are scanned for likely diagnoses. We are also committed to doing everything we can to ensure that this new form of genetic testing is adopted by the NHS for children with similar conditions in the near future. This means that at some point in time, most likely in 2015, the DDD team will stop recruiting new families to the project, and the NHS will pick up this genetic testing. We are working very hard towards this goal. After the recruitment of new families ceases, the DDD team will continue to analyse the genetic data on existing DDD families to identify likely causes of the disorders in DDD children. Like many large research projects, the funding for the DDD project comes from several sources, one component of this funding is currently due to end in October 2015, but this in no way means that work on DDD families will cease at that point, indeed most of the DDD team are not funded from this source of funding. Moreover, the DDD team is actively seeking additional funding to extend the project to focus more detailed research on those DDD families who do not receive a diagnosis from the initial analyses. With the support of DDD families and their doctors, we are optimistic about obtaining additional funding. The DDD team is absolutely committed to continuing to work with DDD families over the coming years to apply the latest available technologies to understand the causes of their childrens' conditions. The DDD project is now in its fourth and final year of recruitment and nearly 9,000 children with severe undiagnosed developmental disorders, and their parents have been recruited from the 24 Regional Clinical Teams. Thank you so much for being part of this ground-breaking study! We have now completed our analyses on the first 1,133 families to be recruited to DDD. Scientists at the Wellcome Sanger Institute have worked hard to develop a Clinical Reporting Pipeline, which has allowed us to interpret the genomic data generated from this first set of families. 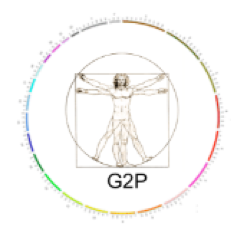 By using this Pipeline we have been able to report back numerous clinically relevant findings in known developmental disorder genes to clinical teams around the country. We have also uncovered 12 new genes which have not been previously associated with developmental disorders. Overall, we have achieved a diagnostic rate of ~30% in this first set of families and are now ramping up to identify more diagnoses in subsequent families. We have found that having complete family trios (mother, father and child) has been extremely important in the process of identifying which gene changes are likely to be of relevance. We will continue to analyse and re-analyse the data of the remaining undiagnosed patients because statistically our capability of making diagnoses increases with the number of families in the study. Thus, we are continuing to recruit more families in order to reach our target of 12,000! The DDD ethics study investigating people's attitudes towards data sharing in genomics has also made great strides over the last year. We have received around 7,000 responses to our online survey. A key finding has been that although people are generally keen on the idea of receiving incidental findings from research studies (findings that are not relevant to the developmental disorder in question), they do not believe we have a duty to search for them. We are now planning the next stages of this work, and will continue to focus on finding diagnoses for families in DDD and not feedback incidental findings. The enormous benefits of the DDD study will only be realised by sharing our data with other scientists, clinicians and patients around the world. We have submitted all our studies above for publication and we will keep you updated on progress with these manuscripts (list of publications). Our very best wishes to you all, from the DDD Team! Following a wonderfully informative and rather humbling meeting organised by SWAN-UK (Syndromes Without a Name) in November, it might be useful to clarify a few common questions for everyone's benefit. our ability to interpret the data outside of the genes is currently very limited, so we feel that our resources are best used by focusing on the genes. Nonetheless, we are now running a small pilot study of whole genome sequencing from saliva samples, so we can compare data from the two methods. Secondly: why do results from DDD take so long? Unfortunately, genetic information is extremely complex and the techniques we are using are very new. Although diagnostic testing can take just a few months, research usually takes much longer. This is because we are trying to do something that no one has done before, and discover new causes for developmental disorders that no one has previously seen. It is impossible to know how long this will take, but our ability to find new diagnoses is increasing all the time as more people join the study. So even if you joined DDD years ago and haven't heard anything yet, there's still a good chance that you will eventually! We are continually analysing and re-analysing all of our data and fully expect to be able to make more diagnoses as we have more and more data. Thirdly: how do you find out about other families in DDD with the same diagnosis? Once a diagnosis has been reported to your clinical geneticist, they will be able to see any other families in DDD (or elsewhere) who have a similar diagnosis. If you would like to put in touch, please ask you geneticist if they can contact the other families' clinicians and help pass on contact details. In addition, the patient support groups SWAN-UK and Unique will be able to help set up groups of families with similar conditions. Finally: how do you choose between studies? There are lots of genetic research studies these days, so comparing them and deciding which one to enter can be very difficult. It is best if you can try to be in only one sequencing study, simply to ensure that scarce resources are fairly distributed amongst everyone who might need them. We would recommend considering DDD for any children with a severe undiagnosed developmental disorder, simply because that's our area of expertise, and the study already has a track record of sending back accurate diagnoses to families. However, if you're still unsure, we suggest you contact one of the patient support groups, Genetic Alliance UK or Unique, who are often in contact with multiple study coordinators and will be able to help you make the choice. We wish everyone involved in DDD a happy and healthy new year. There are now over 6500 families in DDD from around the UK, and we have reported over 300 likely diagnoses to the 24 regional clinical teams. We are working hard on our first major publication focussing on the results from the first 1000 families in the study, which will increase the number of potential diagnoses for these and other families. There is growing interest both nationally and internationally in DDD, which is now one of the largest studies of its kind in the world, so thank you for your continued support. Download our second annual family newsletter for a full project update. At the half-way point for the project, there are now nearly 5000 patient families enrolled in DDD from around the UK, and we have recently opened the study up to include patients in the Republic of Ireland too. Although some families in the study have had a long wait, we are getting more and more results back to clinical teams with over 160 potential diagnoses returned at this point. We are now starting to feedback more negative array results too, though families will be put forward for exome sequencing regardless of whether or not we find a potential array result. We are currently analyzing the results from the first 1000 families to have DNA sequencing, which we hope to feedback to families in the next few months and publish towards the end of the year. The ethics study is also proceeding well, with over 3000 completed questionnaires, but we still need more! If you haven't done so already, please tell us your views about data sharing in genomics research. Download our first annual family newsletter for a full project update. Thank you for being part of the study! Since April 2011, we have recruited around 3,000 families into DDD, so we're well on the way to our target of 12,000. All 23 NHS Regional Genetics Services across the UK are now recruiting, with a dedicated network of clinical geneticists and research nurses/genetic counsellors working towards finding and consenting eligible families, helping with taking samples, and collecting clinical information for DDD research. In addition to clinical teams throughout the country, we also have a dedicated team of scientists and bioinformaticians working on DDD at the Wellcome Sanger Institute in Cambridge (where a third of the human genome sequence was first mapped). We have now reported initial results for the first few families! These include results from both technologies used in the project - DNA arrays and sequencing. We are working hard to produce results that are both accurate and clinically relevant. Because of the enormous volume of genetic data, and the rapidly changing science of genomics, this inevitably takes time! However, the power of the DDD study lies in its size, so the more data we have, the better our chances of finding the cause of your child's developmental disorder. The enormous benefits of DDD can only be realized through sharing our knowledge with the wider community, particularly through publishing important findings and new discoveries resulting from DDD in peer-reviewed journals so that other scientists, clinicians and patients around the world can benefit from the research. We hope to publish our first papers next year, and will keep an updated list of publications here. We take great care to ensure that the data we generate is confidential and only shared through appropriate channels; data used for publications will always be anonymised. Several patient support groups are actively involved with DDD. The first is SWAN UK - Syndromes Without A Name - a project run by Genetic Alliance UK offering support and information to families of children with undiagnosed genetic conditions. They are able to provide advice about living without a diagnosis, as well as answer specific questions relating to DDD. The second patient support group involved with DDD is Unique, the rare chromosome disorder support group for families with a diagnosis of a chromosomal change that caused their child's developmental disorder. Both groups have a thriving community of families, and you can find them on Facebook and Twitter!